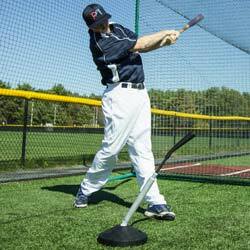 The Batting Mat Pro is the perfect batting mat for batting practice or pregame warm-ups. Can be used indoors or outdoors. This is a portable batting mat is easily rolled up and moved. Comes with a 5mm foam backing for added durability. 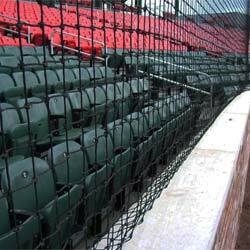 Made with inlaid white turf lines that will not fade, flake or chip since it is built into the batting mat. 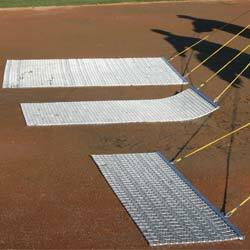 Comes with a throw-down home plate, allowing the batting mat to be rotated for even wear - extending the life of the batting mat. 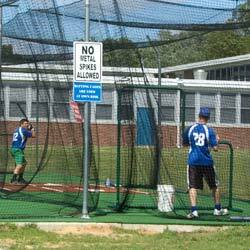 12' x 6' batting mat, perfect for baseball teams. Green color batting mat with inlaid white lines. Our gym bought 6 of these and the kids were thrilled. We can practive year round, and in the rain. The gym floor stays protected and it feels like we are outside swinging!